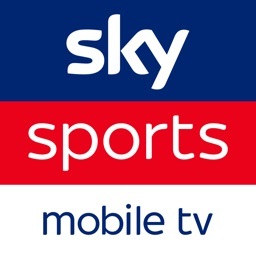 Don’t miss a worldy, wicket, fastest lap or crunching tackle thanks to the knockout Sky Sports app. 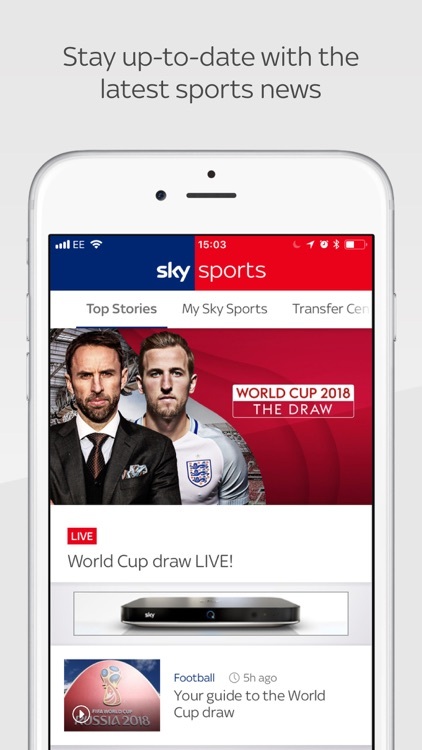 It’s got all the breaking stories from Sky Sports News, the best video, live scores, fixtures, results and all the brand new Sky Sports TV channels. 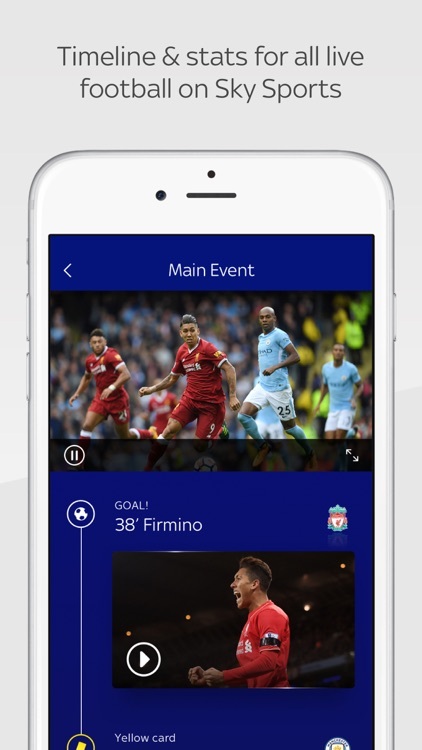 You can also pick your favourite teams, stars, experts and sports to follow and configure your notifications so you only receive the updates that matter to you most. 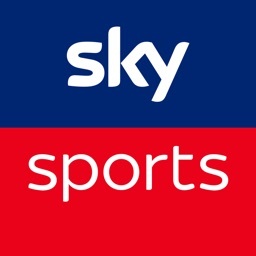 Sky Sports subscribers will also have another new feature where they can watch in-game clips in our Timeline function when they are watching Sky Live Premier League matches. 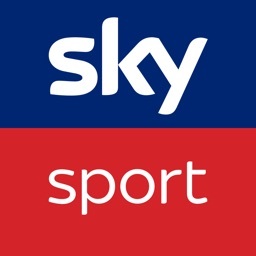 • Timeline for key match events and in-game clips (PL only), as well as in-depth match stats, for all Sky Live matches from the biggest football leagues and competitions. 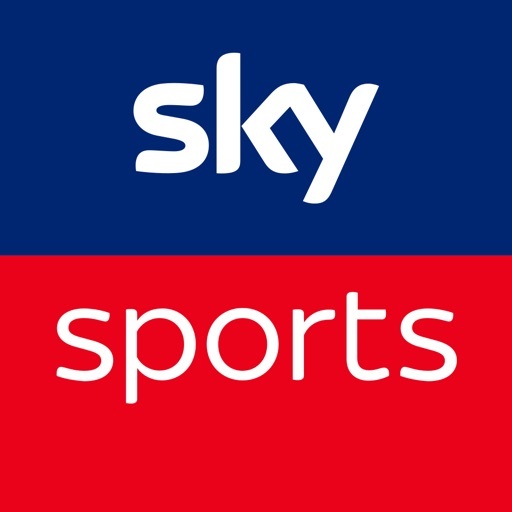 • Dedicated sports sections for Football, F1, Boxing, Golf, Cricket, Rugby Union, Rugby League, Tennis, NFL, Darts, WWE and Other Sports. 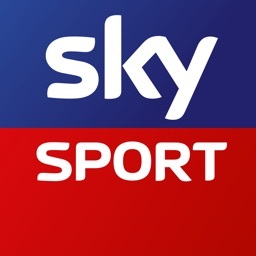 *Already have a Sky Sports pack on Sky or Virgin Media? 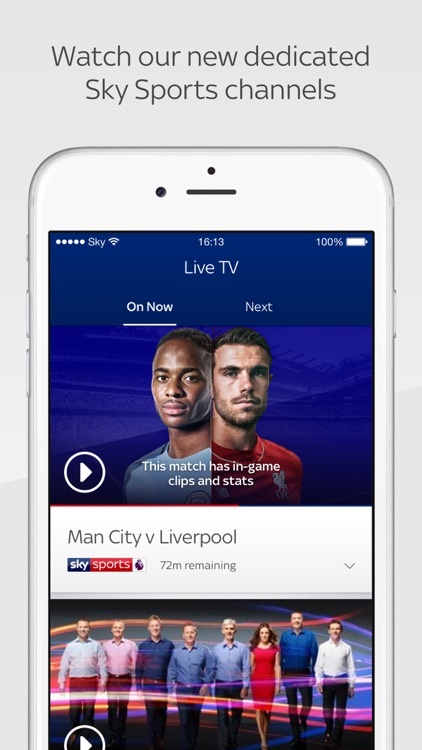 Lucky you… The Sky Sports app allows you to watch all Sky Sports channels in your package live. 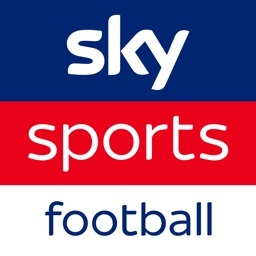 Simply sign in with your Sky iD or account number. 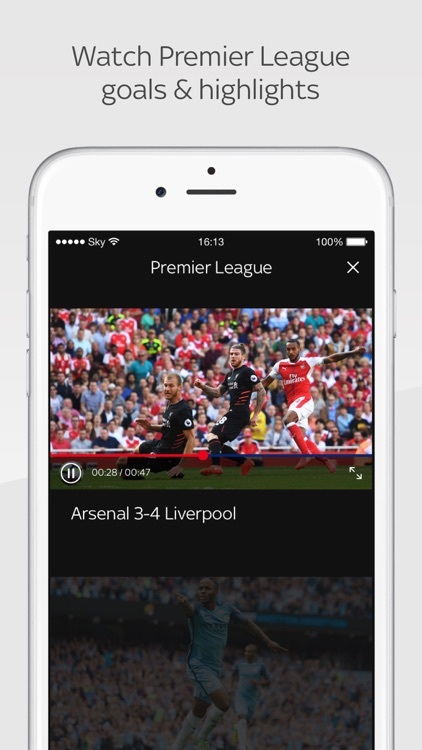 The Live TV feature and selected Video on Demand content is only available in the UK and Ireland. Additional mobile network and/or WiFi charges may apply. 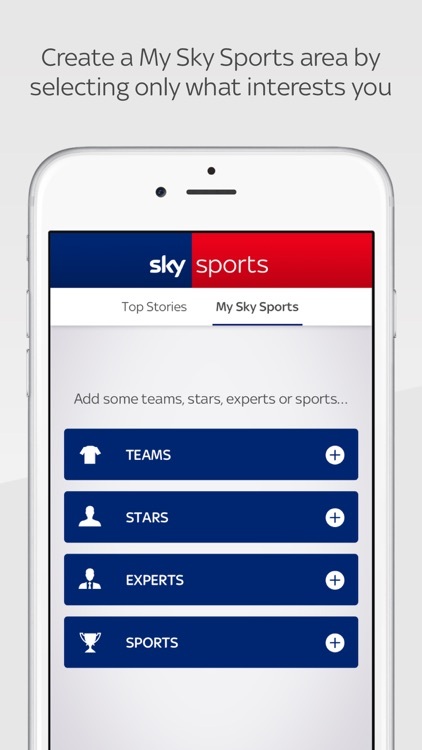 Please read the Terms & Conditions carefully before using the app. This app supports iOS 9 and above.